The days of sight fishing the shallows looking for fish on beds has pretty much come to an end. Bass have abandon their spawn beds and headed out to transition into their summer patterns. No more easy days. Now, you have to put patterns together that generally don't last all too long once you do. That's the fun part, right? The curly leaf has, for the most part, gone through its first drop. What's left for cover after the giant mats of curly leaf are gone usually support fish. It's so nice not having a thick layer of surface weeds to deal with. Sometimes it seems as if you might have to get out and push your boat through those heavy weed mats like you do when you get your car stuck in the snow. I truly think some of the heavier mats could support your weight! Not any more, well, at least until the next blossom explodes. Another great thing about post spawn fishing is that the fish can be found anywhere. I said anywhere, not everywhere. It takes some hopping around and experimenting, but you can usually find some fish. I am typically a bank beater. I love fishing visual cover. Weed mats, docks, wood, cattails, you get the point. There's nothing better than a well placed jig. It's like hitting the bullseye with an arrow. Generally after the riggers of spawning the fish feed actively. Replacing bellies full of eggs for bellies full of their choice of tasty morsels. 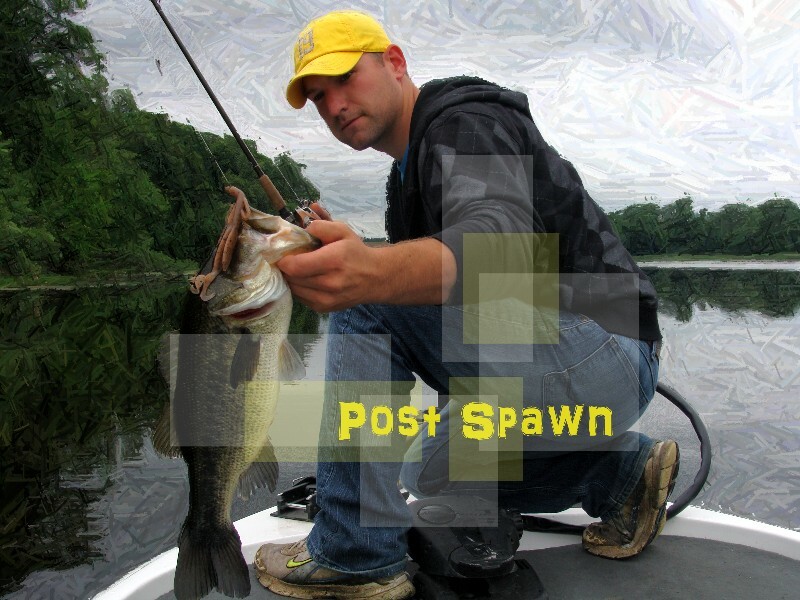 It's open season on patterns for post spawn bass. Get out on the lake and put one together. This is when you become a better fisherman. There are no more sure things and you have to get creative. Don't be afraid to tie some crazy stuff on your line and toss them into an even crazier spot. When you do this, you can surprise yourself. Experiencing success means you did something they like. Now, start firing questions to yourself. Why did I catch this fish? Why was this fish here? What triggered the reaction? Answer them based on your own theories and the facts you know. Play around and try to fine tune your answers and congrats on putting a pattern together. Bank this info for future reference and now you have yet another tool in your bag. 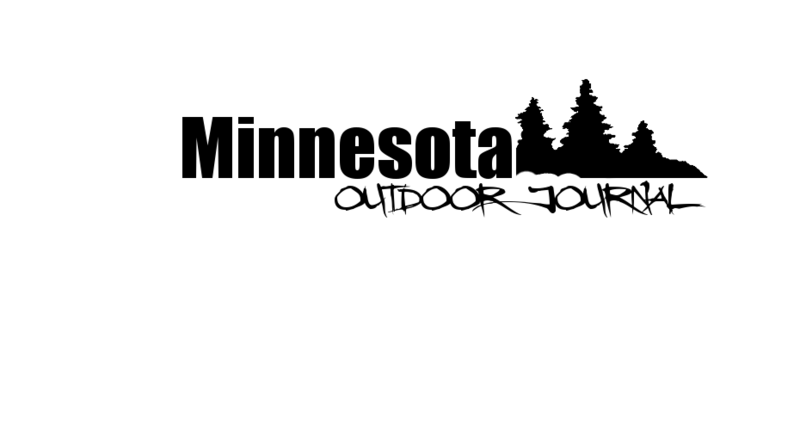 You are become a better outdoorsman. Reflecting tiny lights riding the waves. Only when you turn away, they are gone. Triple checking to make sure your light up is under the surface you slowly reel in your slack and give a nice sweeping hook set. The fight is on along with the aerator in the livewell. The big lake, Mille Lacs. Giant white caps and endless areas to discover. A multi species day is what was planned. 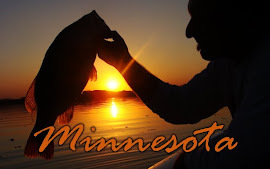 Smouthmouth, pike, and Walleyes. Smallmouth were slow and the pike were, well, pike. No matter what pattern and no matter what you through it seems the pike are eager to strike. One of my personal favorite walleye techniques was soon to be upon me. Light up bobbers on the rocks. Struggling through yet another storm front that created giant white caps made for a slow first half of the day. As time went on the waves decreased and my balance began to come back to me. By the afternoon it was a classic beautiful evening. 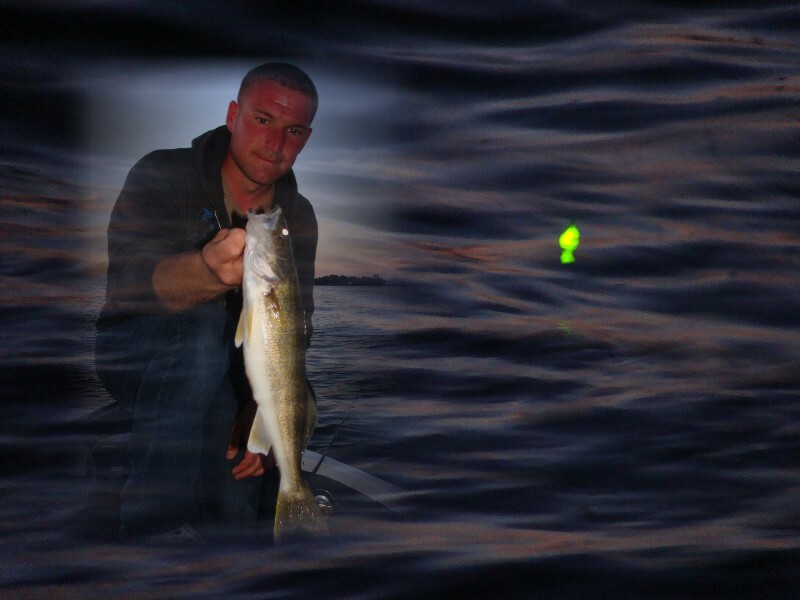 Walleyes eyes are very sensitive to daylight which is why they spent most of their time in the darkness of deeper water. They are crepuscular, meaning, most active in the morning and evening hours. They begin creeping up to the shallow water rocks in the evening to prepare for feeding during the security of the night. I usually don't get to fish sitting down so this was a relaxing treat. There is something different about sitting there anticipating a floating light to jet under the surface that is very hard to explain. I guess serenity would be accurate. A sense of calmness like no other, except for the occasional sound of banging fish in the livewell! Oh how I love the many ways to see what mother earth has offered us. It is virtually endless, and yet, many don't see but a small few. If you can do it, do it, if you can't, try harder. Make time and take time to see whats out there for us, even if its in the dark!